Harry was Sophia’s white standard poodle. 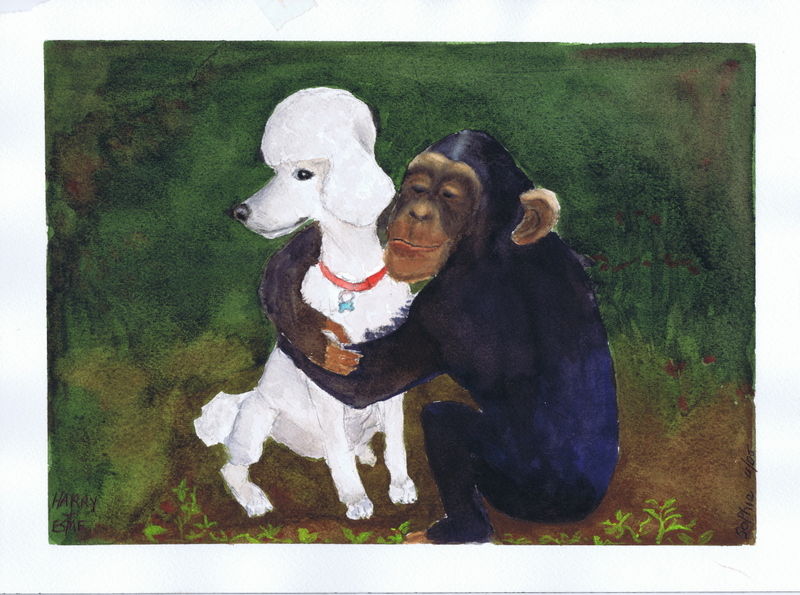 Sophia loved interjected Harry into her paintings, especially with other animals. The iron thing was that Harry loved to hunt and far more than the company of other animals, Harry loved to stalk.